There are winners in Sony’s Be Alpha Female announcement today, but more importantly, Sony is addressing the industry’s gender gap. That topic, David Schloss addressed in an email to me. 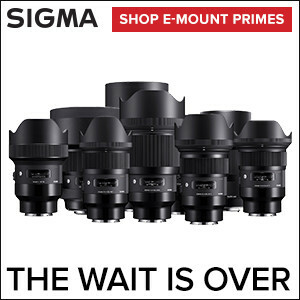 As a 20-year veteran of the camera business, my former editor, and occasional contributor here, I asked David to elaborate on the topic. Below is what he told me. Byron: Why is Alpha Female so important? Schloss: Gender inequity in professional photography and filmmaking is something I personally think makes the photographic and videographic world unbalanced. It prevents some of the most brilliant creatives from getting a foot in the door. Byron: When did Alpha Female get started? Schloss: In September, Sony took this issue head-on when they announced the Be Alpha Female Creator-In-Residence program. That’s a combination of financial and gear support plus a dedicated mentor to help participants further their career. There are follow-on networking events and a gallery exhibition as well. Over 6,000 women applied and applicants were required to submit an introduction video, an essay covering the biggest challenges faced by the candidate, and both a pitch and budget for how the funds would be used. That more than 6,000 people applied shows the need for opportunities like Be Alpha Female. I’m impressed by how Sony is leading the industry in working toward change. Byron: Thanks, David. These are exciting times for creatives. Megan Allen—A wedding photographer from Ohio, Megan’s goal is to create photos that make you stop in your tracks for a moment in time. Megan’s mentor will be Artisan of Imagery Sara France. Danielle Da Silva—Currently living in Toronto, Danielle is a storyteller, conservationist, scholar, activist speaker, and the founder of Photographers Without Borders. You can learn more on her website at Danielle’s mentor will be Artisan of Imagery Cristina Mittermeier. Erin Hogue—An adventure and lifestyle artist living in Vancouver, Erin focuses on capturing the impossible. Erin’s mentor will be Artisan of Imagery Brooke Shaden. Nitashia Johnson—An educator and portrait photographer from Texas, Nitashia’s passion is currently focused on developing a community-based media arts program for high school teens. Nitashia’s mentor will be Artisan of Imagery Me Ra Koh. Colette Robinson—Collette is a photographer and creative focused on stop motion graphics and living in Northern California. Colette’s mentor will be Artisan of Imagery Caroline Jensen. Read our past coverage of Be Alpha Female, including the announcement in Brooklyn earlier this year and follow the journeys of all five winners throughout the program, at Alpha Universe. The Alpha Female Creator-in-Residence Program Contest winners each will receive a six-month grant of $25,000 in funds and $5,000 in gear allowances. That’s career-changing support from Sony. Sony isn’t just sponsoring the winners, but also putting their clout into opening doors for women. 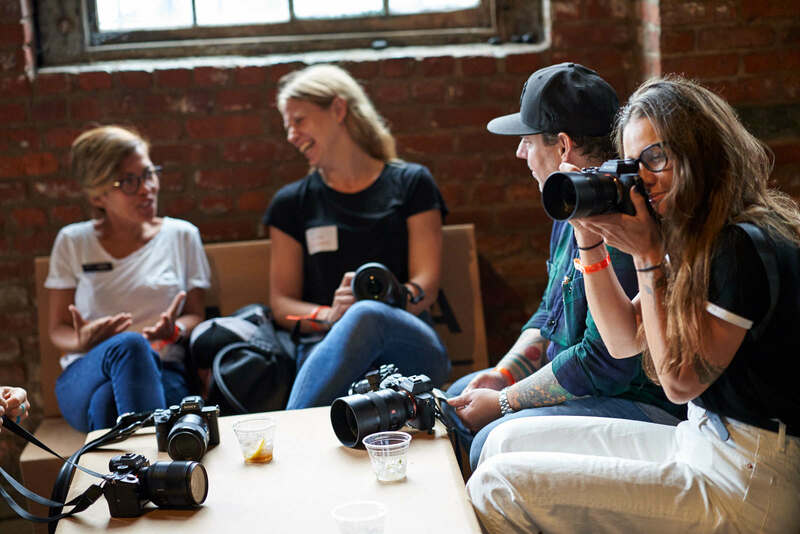 In addition to the Alpha Female Creators in Residence grants, Sony will support several female-backed and focused events that aim to push progress for diversity in photography and filmmaking as part of the Alpha Female initiative. Sony will also fund several additional projects by female creators. Like David, I’m excited to see how the Alpha Female projects turn out and will follow the winners closely. Bringing gender balance into photo and videography will undoubtedly result in more creative expression and points of view.